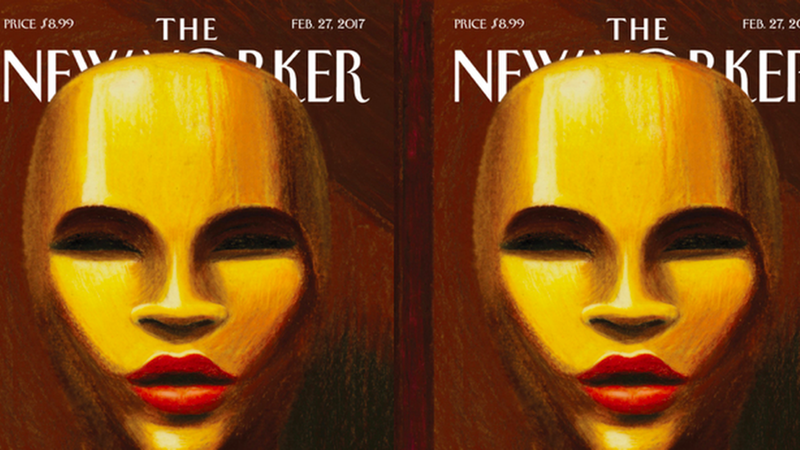 Hollywood is buzzing about this week's New Yorker cover, featuring an ambiguous face on an Academy Award, meant to exemplify the record-breaking diversity at this year's Oscars. The cover represents a a conscience effort by The Academy to highlight diversity at this year's awards after two years of critical #OscarsSoWhite social media campaigns. The Academy, known for being mostly male and white, has added dozens of new, diverse faces to its roster and has included several films with diversity themes in some of the top prize categories, including Moonlight, Fences, Lion and Hidden Figures for best picture. Why it matters: Many believe Hollywood's diversity renaissance is occurring as a backlash to the diversity crisis in Washington. The majority of President Trump's cabinet is male and white and many of his actions, including the Muslim ban, reversal of Obama's transgender bathroom law, and asking a black reporter to set up a meeting for him to meet with her "friends" at the Congressional Black Caucus, are seen as insensitive towards diversity.